In 1979, at twenty-three, Sarah Taub gave birth to her second daughter, a baby with Down syndrome. Her doctor told her that the child would never learn to walk or talk and advised her to leave the hospital without her. Those years the world didn’t know any better. Taub set out to change that. As her daughter grew, Taub scoured Cleveland’s Jewish community for programs that catered to children with special needs. She found none. The situation put a strain on her marriage and the couple decided to divorce. As a single mother, Taub continued to explore social and educational options within the Jewish community for little Ahuva (Huvie), a toddler at the time. She continued to come up empty. With Huvie in hand, she tried Yeshivath Adath B’nai Israel (YABI), the only Orthodox-run Jewish afternoon school for students in elementary and high school. Rabbi Abraham Bensoussan, the education director and executive director of the school at the time, readily agreed to admit Huvie into the kindergarten class. Huvie thrived in her mainstream school, yet social opportunities were still lacking. Looking around, Taub saw how many Jewish kids with developmental disabilities had little or no meaningful interactions with their peers. She was determined to ensure that Huvie would not suffer from social isolation. When Huvie finished sixth grade, Taub found out about Yachad, the National Jewish Council for Disabilities—a fledgling organization dedicated to providing educational and social opportunities for Jewish individuals with disabilities and ensuring their inclusion in every aspect of Jewish life. Taub was thrilled. Finally a solution to Huvie’s loneliness. There was, however, one problem: Yachad was based in New York. Huvie lived in Cleveland. Taub contacted Chana Zweiter, who had founded Yachad only a few years earlier, in 1983. Taub knew she needed to bring Yachad to Cleveland. “When my Huvie grows up I want her to have this. I want the Jewish community of Cleveland to have Yachad.” It didn’t take much more for Zweiter to hire Taub to run Cleveland Yachad’s chapter. 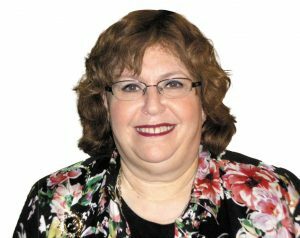 She wound up serving as the director of Cleveland Yachad for thirty years, the longest-running director of any Yachad chapter across the country. The fledgling chapter began modestly enough, with three boys and one girl. For an hour and a half every Wednesday, Yachad members and their mainstream peers would connect for pizza and ice-cream parties as well as for parashah learning. Rabbi Bensoussan encouraged Taub to use school’s multipurpose room as the Cleveland Yachad meeting place. Taub joined forces with the local NCSY chapter and linked Yachad members with their mainstream high school and college-age peers. As enthusiastic Yachad members, NCSYers and their parents spread the word, the chapter grew. Along with the weekly meetings, Taub took Cleveland Yachad members to NCSY’s regional Shabbatons in Pittsburg, Detroit and Columbus. In time Cleveland Yachad began hosting its own Shabbatons, featuring guest speakers, Torah learning, and seudat shelishit with the shul congregants. The chapter joined day schools, the JCC, and other community institutions for celebratory and educational activities, and had monthly visits with the senior residents of Stone Gardens Assisted Living Residence, where Taub served part-time as the activities director. Today, Cleveland Yachad, which recently celebrated its thirtieth anniversary, runs a host of diverse, innovative programs and new community collaborations to promote inclusion in the greater Cleveland Jewish community. Running four to six inclusive events each month for teens and young adults with disabilities and their mainstream peers, Cleveland Yachad continues to respond to the ever-growing need, offering programs such as yoga, pottery, pet therapy, comedy improv and poetry workshops. Huvie may have sparked her mother’s desire to promote inclusion, but what fueled Taub’s passion was a driving sense of responsibility to make sure that every child who needed to belong had an entry into Jewish life. “She was a trailblazer who did things even if they seemed impossible,” says Sara Ireland-Cooperman, current coordinator of Cleveland Yachad. “She told me, ‘We are doing God’s work.’” In 2011, Yachad honored Taub at its national dinner for her longstanding dedication and Cleveland Yachad honored her in 2017 with a Life Achievement Award. When Taub was diagnosed with an aggressive form of cancer in 2011, the doctors estimated she had maybe two years to live. Nonetheless, despite her constant pain, she stuck to her hectic schedule and lived another six productive years. Her powerful example lives on. Instead of selling their mother’s home, her children decided to convert it into a Bikur Cholim House with a beit midrash for those visiting sick family members at the Cleveland Clinic. From the moment she gave birth to Huvie, Taub spared no effort trying to ensure she would be as independent as possible. With devotion and foresight, she formed a consortium with three other parents, and partnered with local agencies to fund the staffing for a Jewish group home for adult women with special needs. At first, Taub’s older daughter Dena Leah protested, upset that her mother was “kicking her sister out of the house,” insisting that when the time came, Huvie could come live with her. Taub created a new reality in Cleveland. Her successes served as a springboard for other inclusion efforts. Today, Cleveland Yachad is thriving, having grown by 45 percent in the last two years alone. Yachad plans to expand the chapter to include both a senior and junior chapter, as well as to provide additional programming for children ages five and up. All this as a direct result of the seeds that Taub planted. As Taub had hoped, she lived to see the difference she made.